Your Asian-inspired restaurant or catered event won't be complete without this CAC 666-4-G Japanese style 4 3/4" rice bowl. 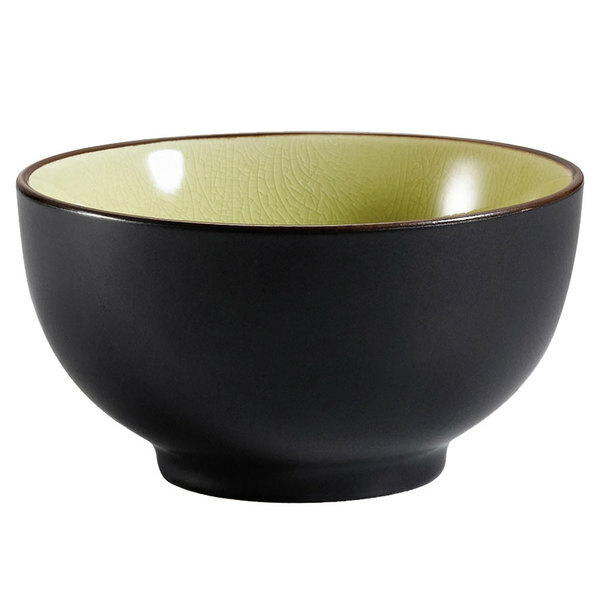 Its simple bowl shape rests atop a solid base and features a black non-glare glaze exterior with a golden green interior. This Japanese style rice bowl is ideal for serving rice, vegetables, soups, or desserts.